Today was the first day back to school from winter break. Though reluctant to get back into a schedule, we had a great day. We worked on math and science today. It took us a little bit to get going, but once we did all was well. It is amazing how quick you can get rusty on multiplication tables. We got through them, but not as fast as we once could. I even had to look up a few products. 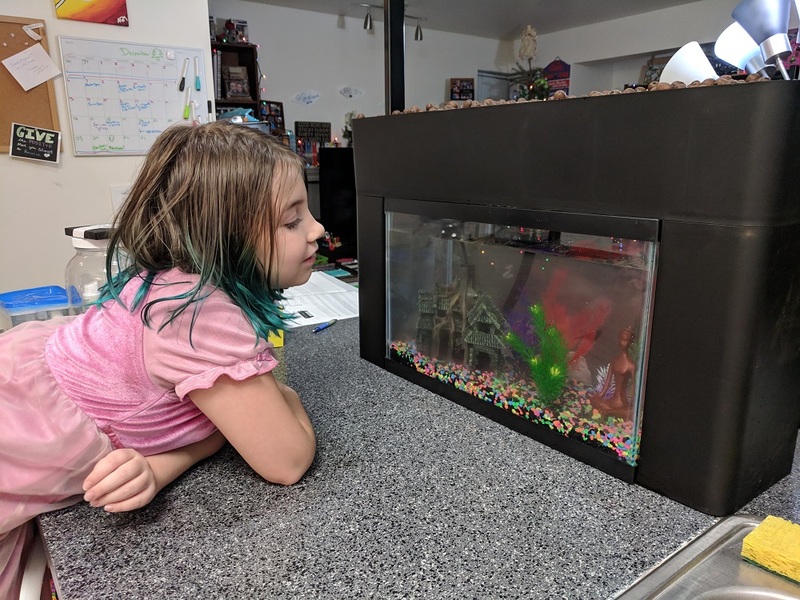 We are learning about aquaponics in our science unit. This is largely brought on by our family Christmas present - an aquarium and aquaponics grow bed. We got the system all set up and are working on the balances and learning about the system. 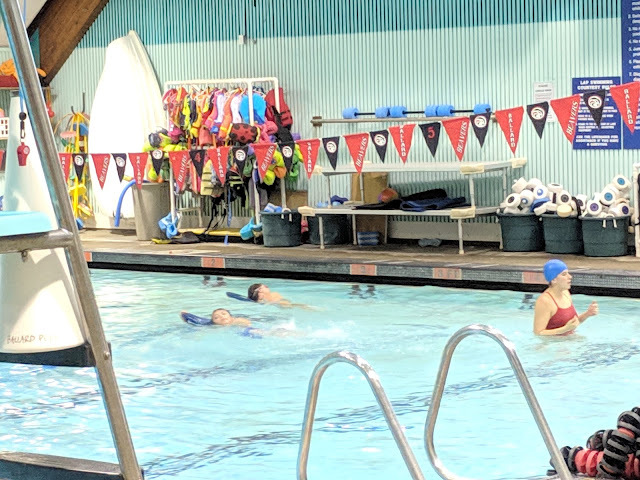 Today was also the first day for swim lessons. She was a little frustrated that they are repeating a lot of the things she already knew, but she still enjoyed being in the water. It was a great first day back. I am thankful for the amazing opportunity to homeschool and for these wonderful experiences we have together. Our focus for this week is multiplication. We began the week working with a review of what we have learned so far, which covers our 1-6 multiplication tables. We practiced in a fun way using a game that is similar to Sequence. 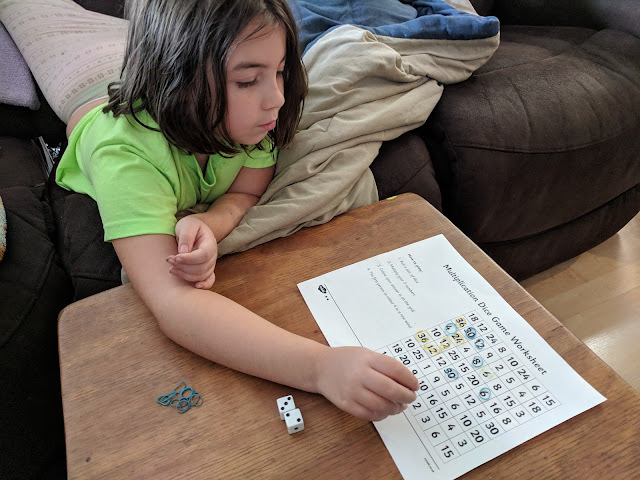 We rolled two 6-sided dice and multiplied the two numbers together. We found the product on the board and marked it off. The first person who got four in a row won (there were several copies of each number to choose where on the board to mark.) I won this round, but only barely. This was a great way make practice fun. 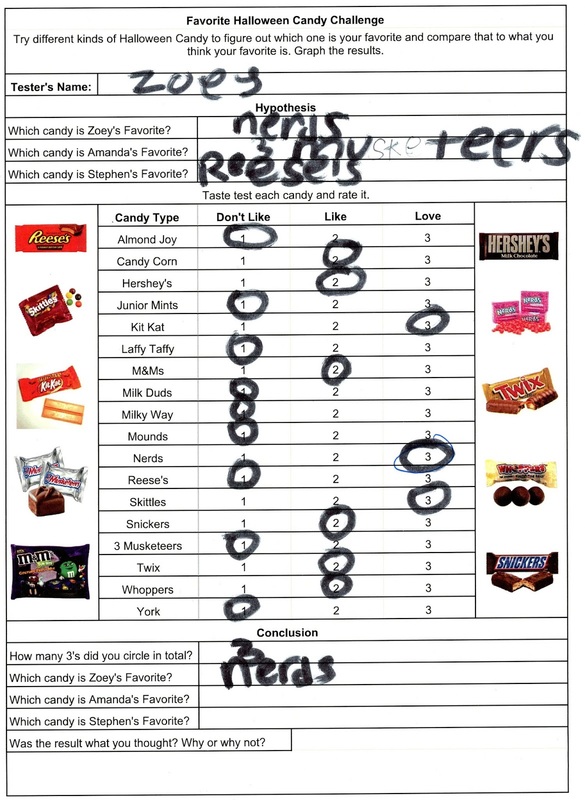 Zoey also covered her seven and eight times tables this week. We did some practice with these as well with fun math games. 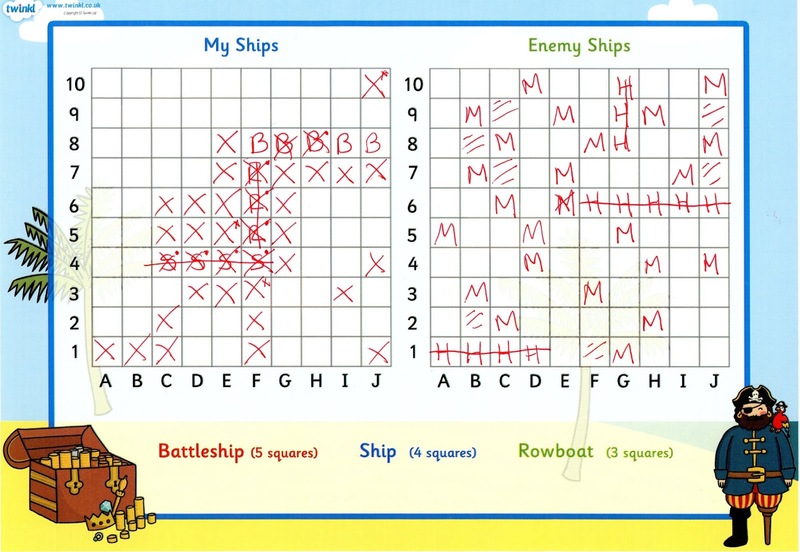 We also practiced coordinate by playing a pirate Battleship style game. I won, but only by a couple turns, Zoey had my ship in her sights and I wasn't lasting long! We learned about the scientific method in preparation for more science projects. We also read about several sea creatures, which we will expand on soon. 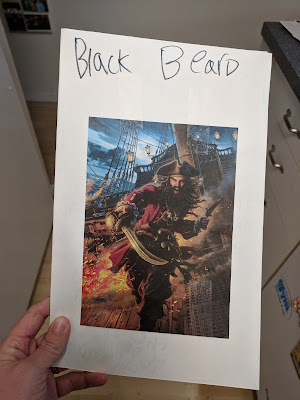 We read several books this week, mostly having to do with the midterm elections and what it means to vote, pirates and sea animals. Writing thank you notes is a good habit, to acknowledge the generosity of others. Zoey wrote in response to holiday cards and to supporters of her Extra Life Game-a-thon, which benefited the children at MUSC. Spelling and Language Arts went hand in hand this week. 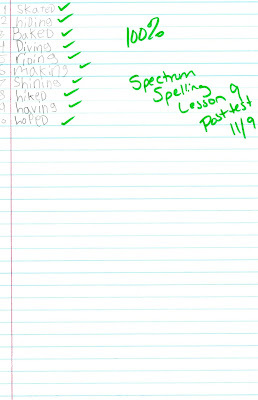 We covered our Spectrum Spelling Lesson 9, which included words where you have to drop the "e" and at -ed or -ing. 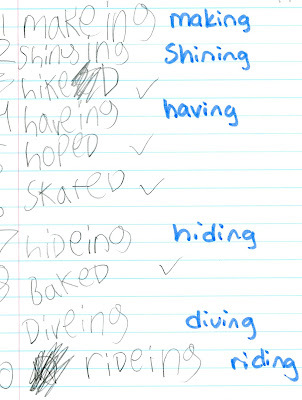 As she studied this skill, she also practiced her spelling words. 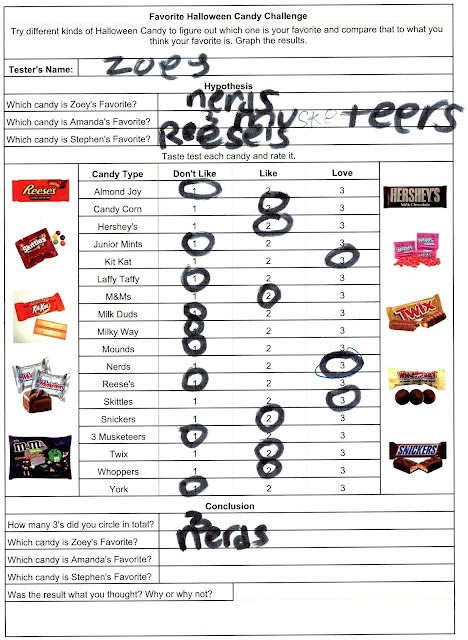 We also discussed Alliteration and how it can be used as a writing technique. 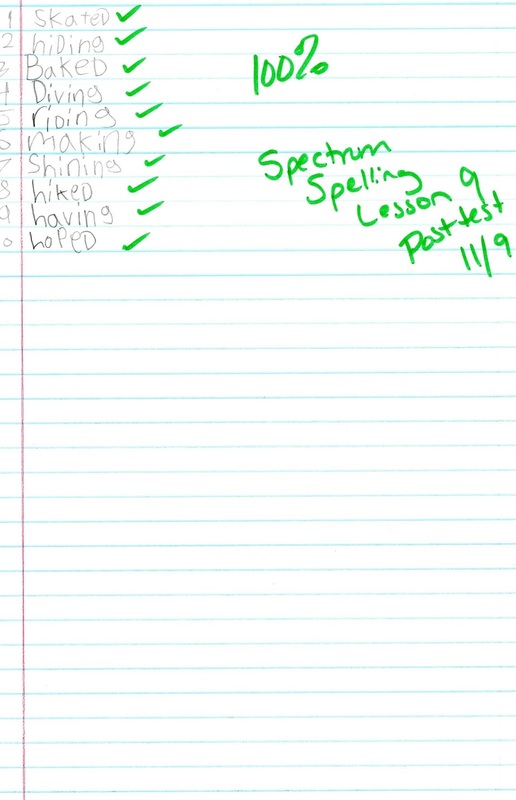 She improved greatly throughout this week in spelling, her practice really paid off. 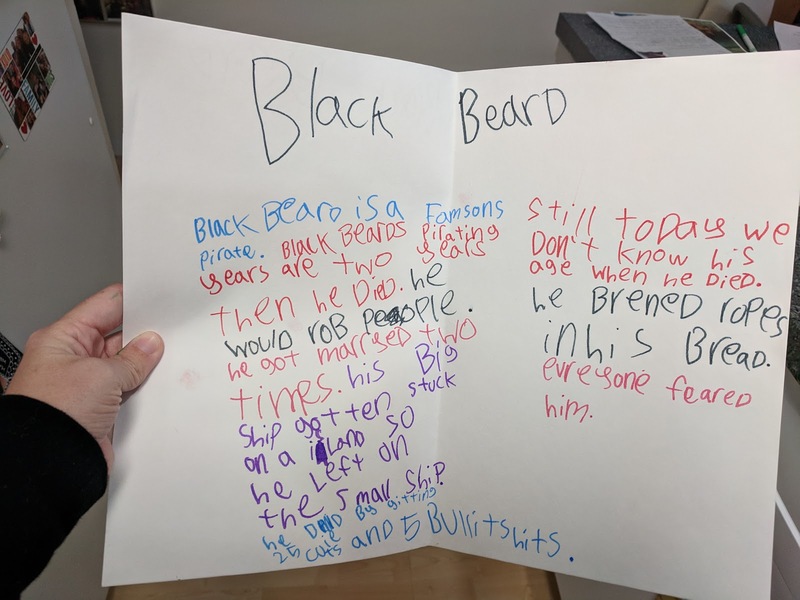 The Pirate Meets the Queen by Matt Faulkner and The Pirate Queen by Barbara Sjoholm. These offered great information about how Grace met Queen Elizabeth I and successfully got her son released from prison. 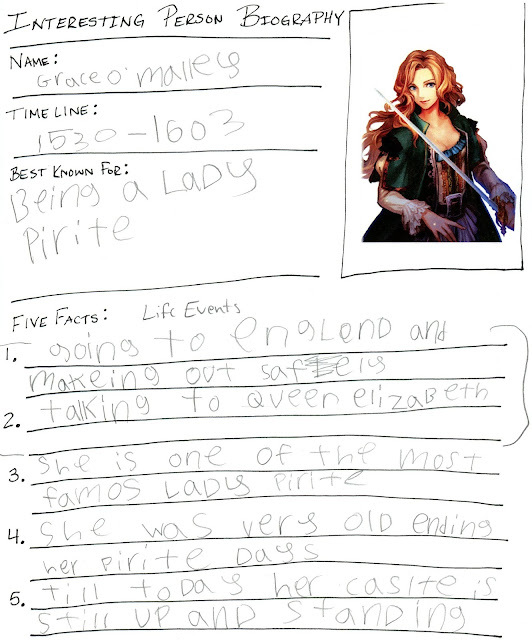 We also finished up our pirates unit this week (at least officially, though Zoey is still interested in the subject). Zoey created a large booklet for Blackbeard with a dynamic picture she picked out because it showed why "everyone feared him." She did great gathering her notes and creating a final project. 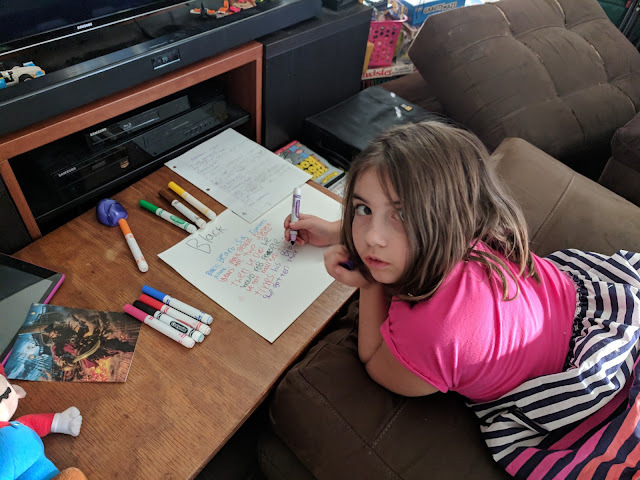 We studied how the government works so Zoey could understand what a midterm election is and why it is so important to vote. Swim is a wonderful way to spend our P.E. time. 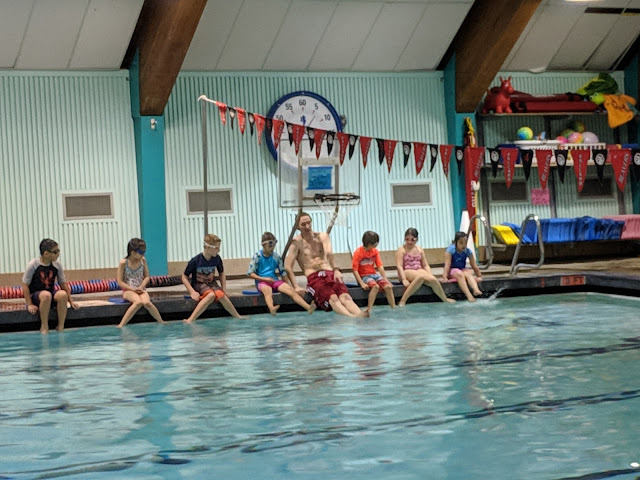 Zoey has swimming lessons on Monday afternoons and we went another day this week to practice the skills she is learning in her lessons and to have fun and play in the water. 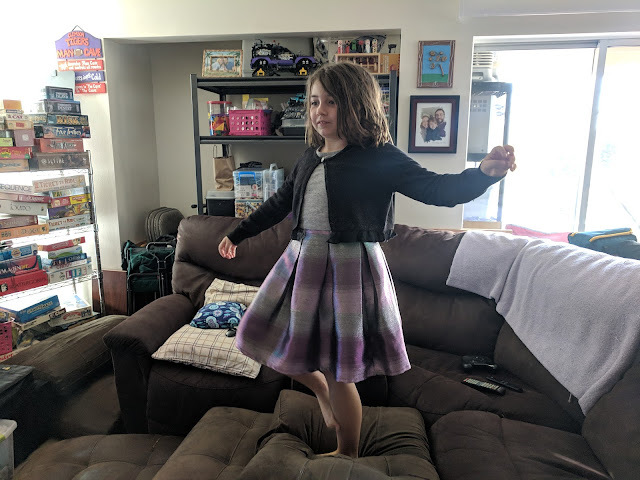 She was also really interested in learning a couple different contemporary songs, so she made herself a stage to practice and perform. She also spent some time with her musical instruments (guitar, ukulele and recorder) following along with the songs she learned. 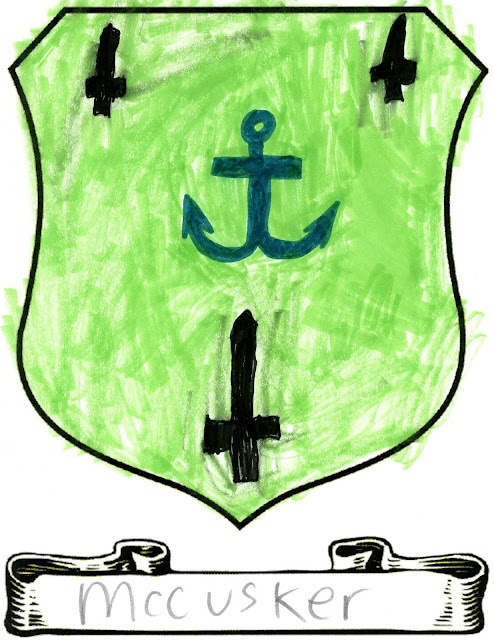 In Girl Scouts this week, Zoey created a McCusker Family Crest as they are working on their Family History badge. It was a busy week, with lots of outings, but we got through our work and had fun too. 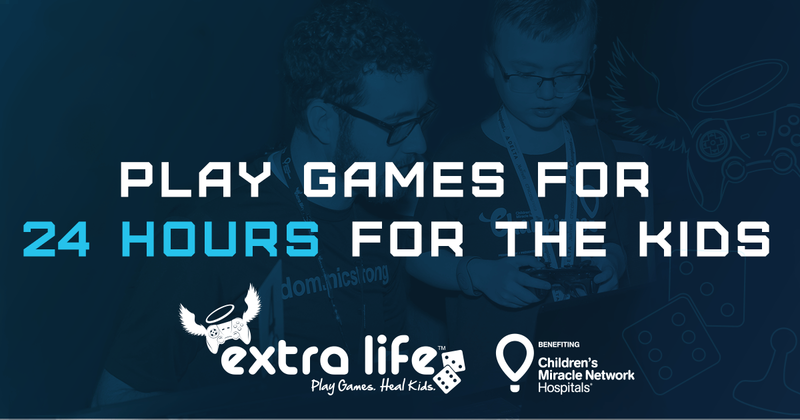 Gamers will play all different types of games for 24 hours straight to support Children's Miracle Network Hospitals. Extra Life is a fundraiser, which began ten years ago to play games and heal kids. Since it's foundation in 2008, Extra Life has raised more than $40 million for sick and injured kids. 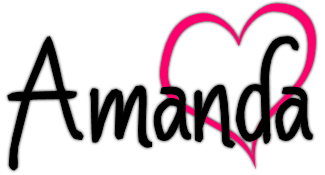 The fundraising stays local to support any Children's Hospital you choose to help fund critical treatments and healthcare services, pediatric medical equipment and charitable child care. Each gamer can pick between over 170 hospitals throughout U.S. and Canada. Stephen and Zoey chose to support MUSC Children's Hospital in Charleston, SC. Stephen volunteered at this hospital for quite a while back when we lived in South Carolina. He would wake up every Sunday morning and go play video games with the kids stuck in hospital rooms. 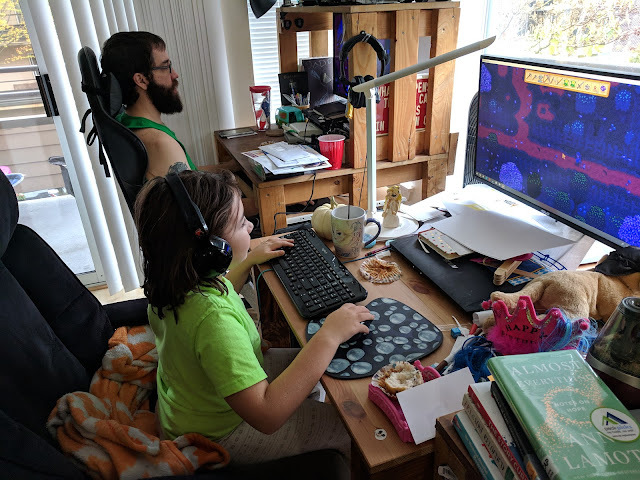 It seems fitting that he plays games now to help them as well. When Stephen asked Zoey about doing this game-a-thon challenge, she was fascinated. 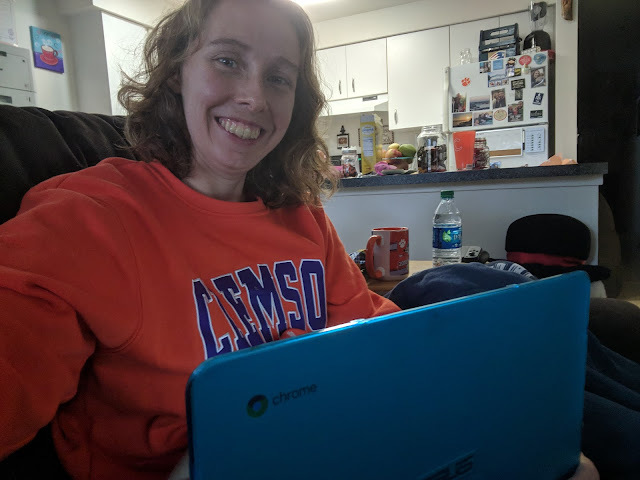 She got to stay up all night and play videos for an entire day straight!?! She was definitely in. She even spent the week leading up to it prepping, in her mind at least, by thinking of the games she would play and how she would stay up all night. Though only nine, Zoey is a night owl. She naturally would rather stay up later and then start her day later. Stephen and I are both the same way, so it works out well for us. Especially when it means staying up to play video games for charity. In preparation, we got lots of snacks and some Coke to keep them going. I made muffins for breakfast and then a huge Nachos spread for lunch. The day started strong. Stephen and Zoey were both in their happy place. 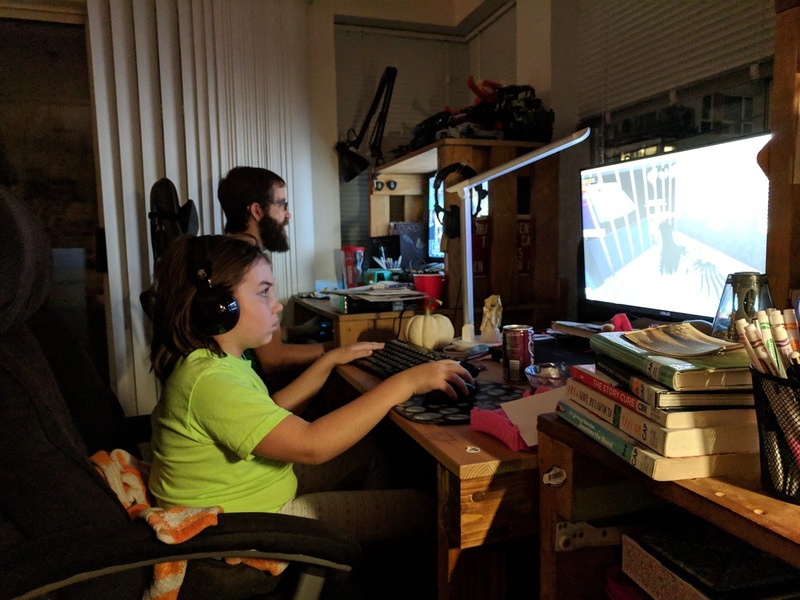 They played Stardew Valley for almost five hours. At this point, it was just another Saturday morning. 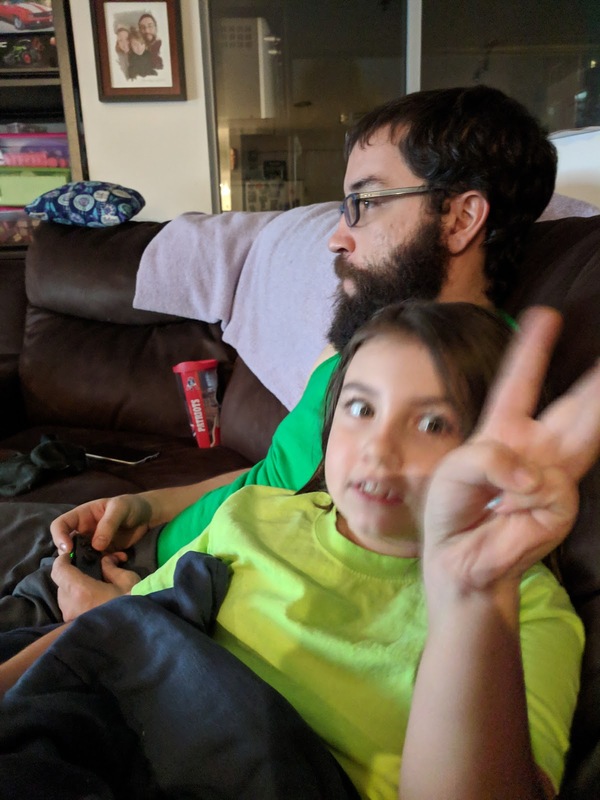 We are gamers, so this sight is not a rare one for a lazy Saturday afternoon. I supported them along the way with Solitare, Ticket to Ride and Mini Metro. 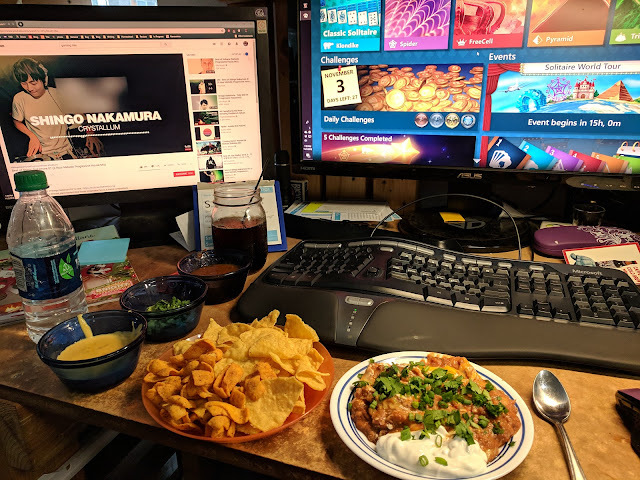 Mostly I cooked food and wrote. I'm working on Nanowrimo (a 50k word writing challenge during the month of November), so I spent a good bit of the day working on that. See here's my contribution, lol. 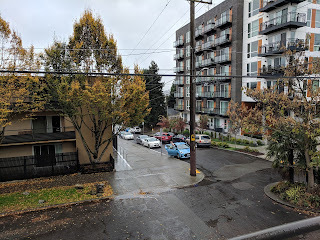 I took several pictures through out the day, but most of them look the same. 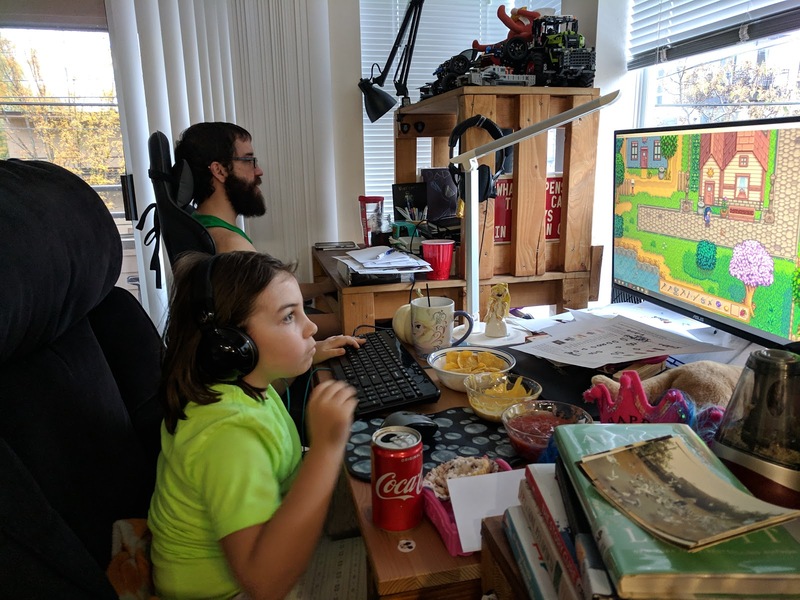 Here they are still playing Stardew Valley while eating lunch. It was a perfect day outside for a game-a-thon. The cool, blustery day made me very glad we were cozy and warm inside. 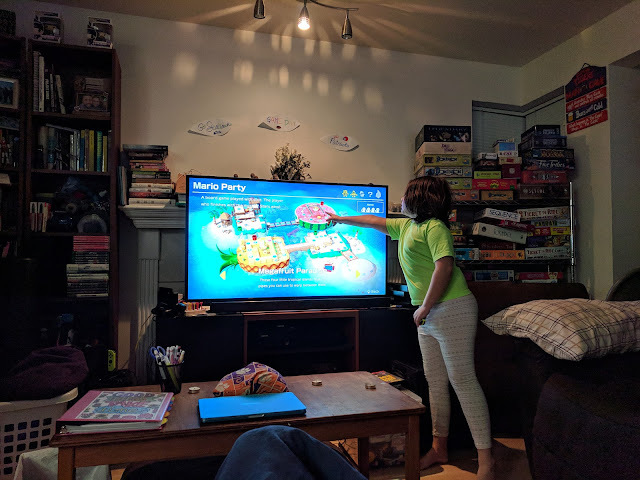 We did come together for a round of Super Mario Party on the Switch. Here Zoey is showing us the secrets of the map since we had never played it before, but she had. Seeing these two do what they love and have it help out others was really exciting. They had so much fun playing all kinds of games on their own and together. It will be a well remembered experience. I went to bed about 2 am and they were still up, each playing their own game. Zoey said she wasn't even feeling tired yet, so she was still going strong. She's a night owl anyway, so this kind of challenge is right up her alley. The next morning I woke up about 8 am, an hour left in their challenge. It wasn't until then that I realized it had been Daylight Savings through the night, so that last hour came from the time change. 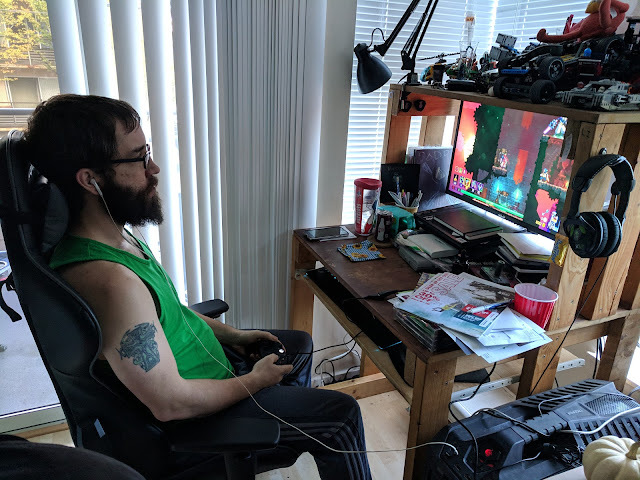 Stephen was still going, playing one last round of Dead Cells. He even defeated the final boss for the first time on his last play through of the entire game-a-thon. Zoey, however, was passed out on the couch. Stephen said she made it until a little after 5 am. I thought that was fantastic. She did a great job and really understood how this was raising money for charity and could help kids her own age. 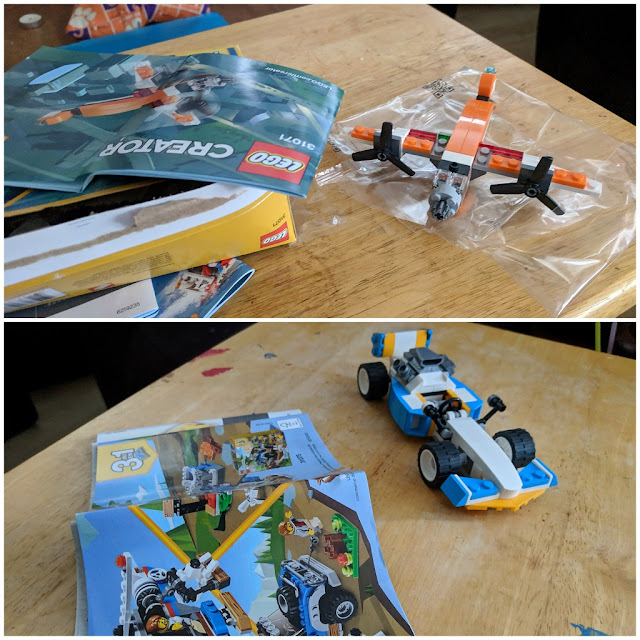 At some point in the evening, they also built legos. 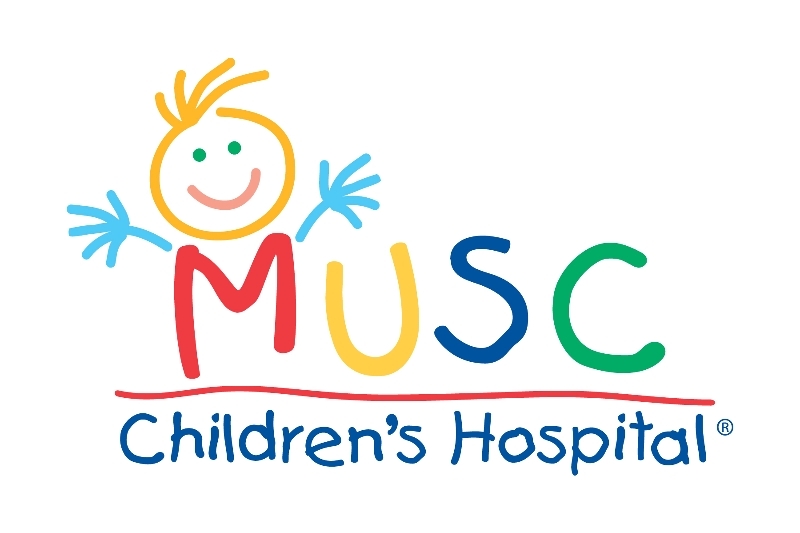 Together, Stephen and Zoey raised $100 dollars to support MUSC. Extra Life raised $8.8 million #forthekids in just the first night of their game-a-thon. The fundraiser is open until December 31. You can read more about their adventures by visiting their fundraising page Temmie Making a Ruckus where Stephen updated their progress and the games they played throughout the night. 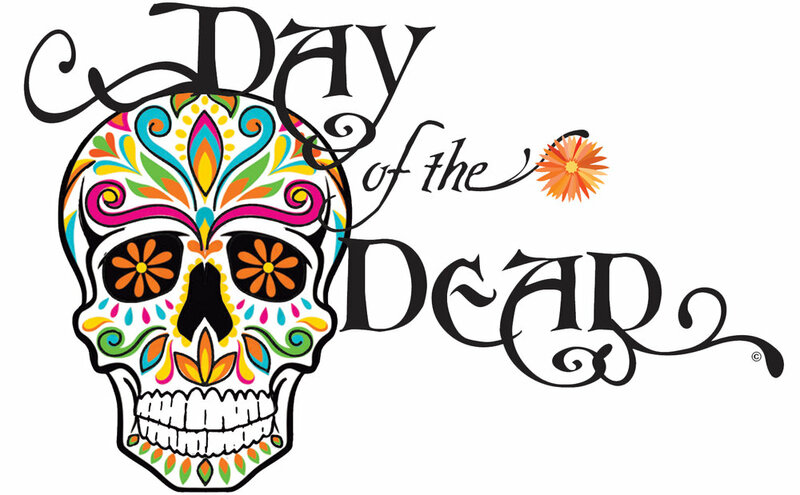 As part of our social studies unit this week, we learned about El Dio de los Muerto, the Day of the Dead. At first, it was just about learning what the day is all about, since many cultures and families celebrate it at this time of year. 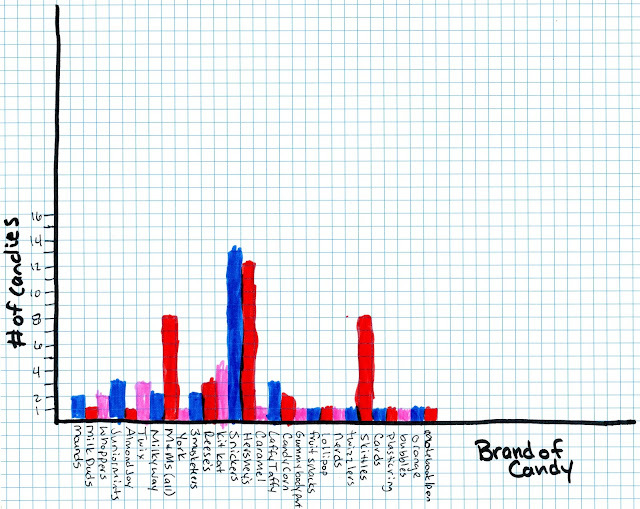 It ended up being a fascinating unit. 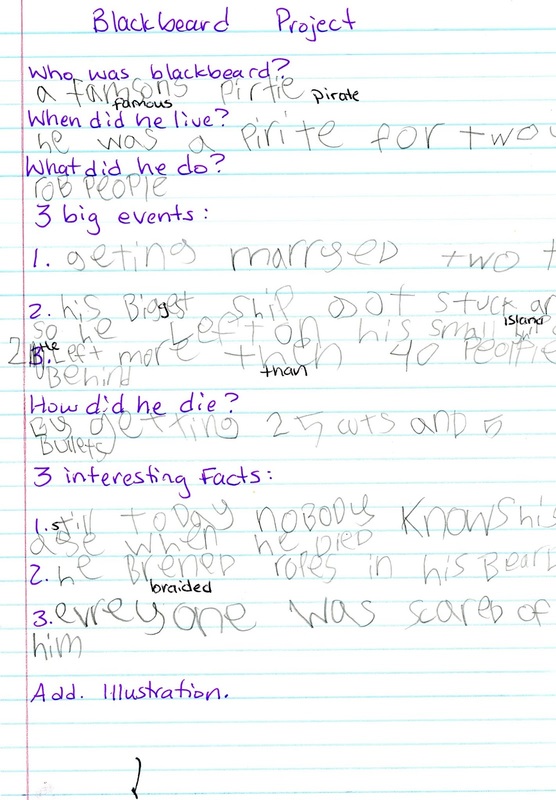 First we read about the Day of the Dead through a reading comprehension essay to get an overview. Then we read “Halloween and Day of the Dead Traditions around the World” by Joan Axelrod-Contrada. This gave us a great overview of how these autumn celebrations are observed throughout the world with some similar themes, but unique traditions. Zoey's was really interested in Bolivia's tradition of keeping real skulls preserved and setting them in their own box to dress them up like their deceased ancestors and give offerings of things they liked on the Day of the Dead. The unit also gave us an impromptu geography lesson as well looked up where all of these countries were. Most of the countries that commemorate El Dio de los Muerto reside in Central and South America. We looked up where Mexico, Bolivia, Guatemala, and Haiti were on a map. We also listened to some traditional Spanish music and colored skulls to understand these countries traditions a little better. Once we got to this point, Zoey was ready to make her own Day of the Dead altar to remember the deceased and celebrate their life. 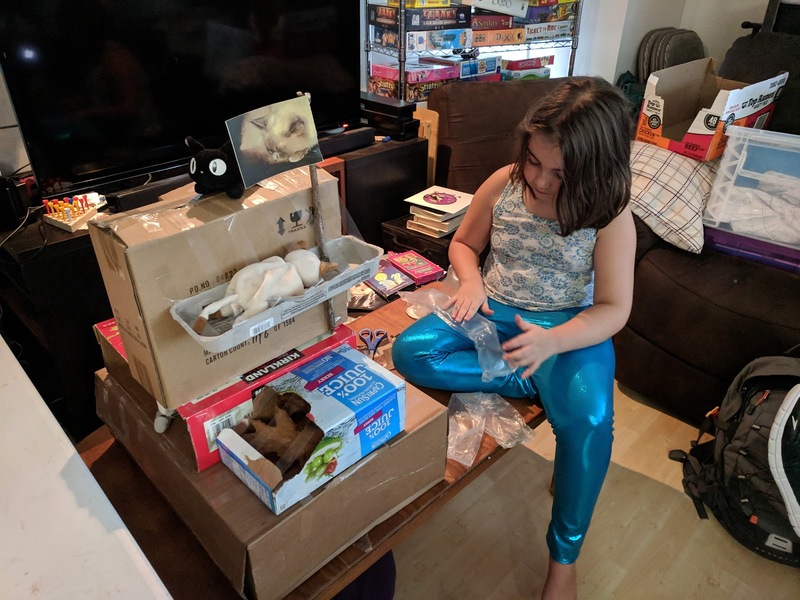 We are very fortunate that Zoey has not lost anyone close to her, so she focused on creating a memorial for the two cats we had when she was little that passed away. They offered some great facts and footage from various El Dio de los Muerto festivals around the world. These were a great edition to our study. 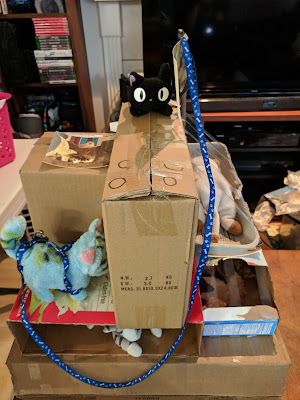 Zoey's cat memorial came out really well, she put a lot of thought and effort into her design and construction made out of boxes. While she worked she talked about the Day of the Dead traditions and what the day meant to her. She liked the idea of celebrating the life of the dead instead of staying sad. 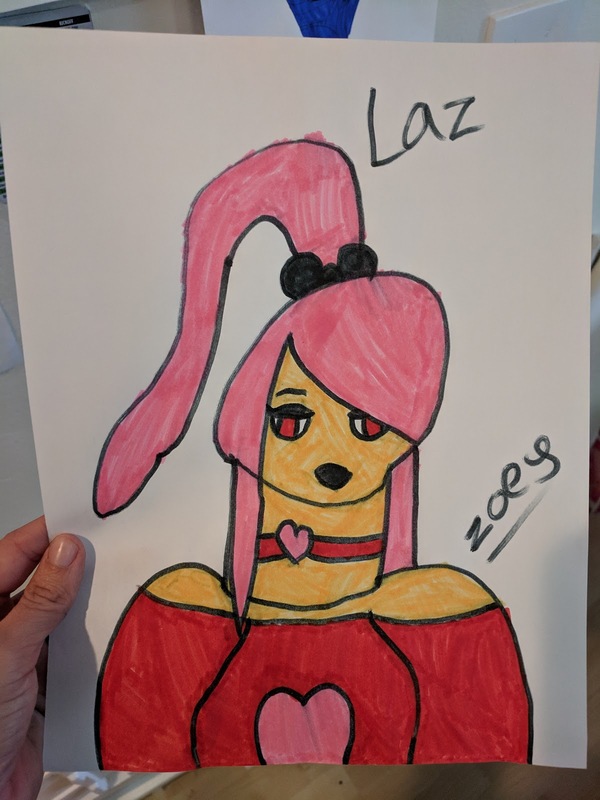 I hope she can keep that in her heart as she goes through life. 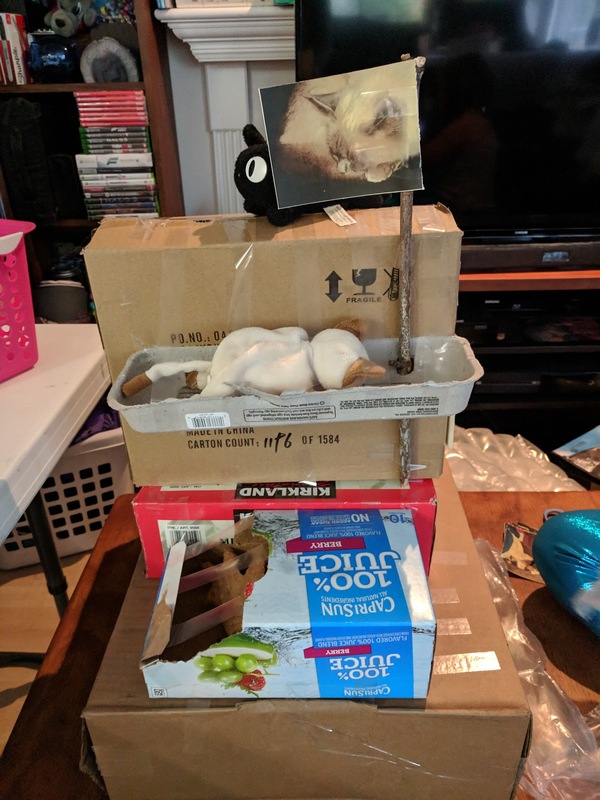 Front and side views of Zoey's cat memorial. She has pictures of her deceased cats Lazarus and Creampuff all over it. She also has leaves for Creampuff to remember the adventures they used to go on outside and balls of paper because that is what Lazarus like to play with around the house. 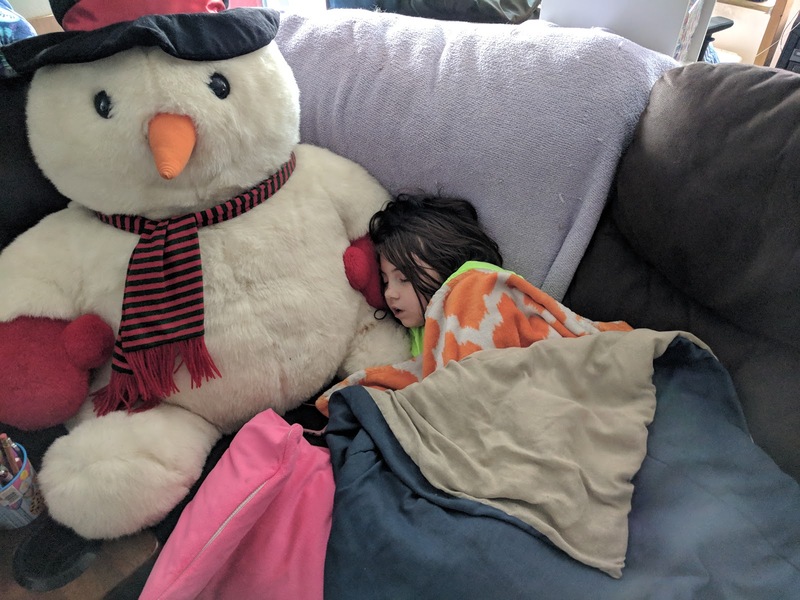 She added her stuffed kitties to keep Creampuff and Lazarus company when they came to play. Do go with Zoey's cat creative memorial, we also printed out pictures of our deceased ancestors. On my side we honored my grandfather, who we called Papa and my grandmother, Nanaw. On Stephen's side we celebrated his grandmother, Nana. 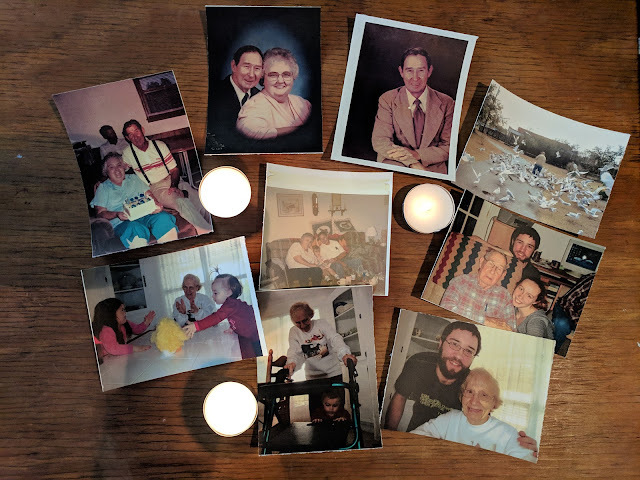 We lit a candle for each one of them and we told Zoey stories about their life and how much they meant to us since she didn't know either great-grandparents in my family and only knew Stephen's Nana when she was very young. 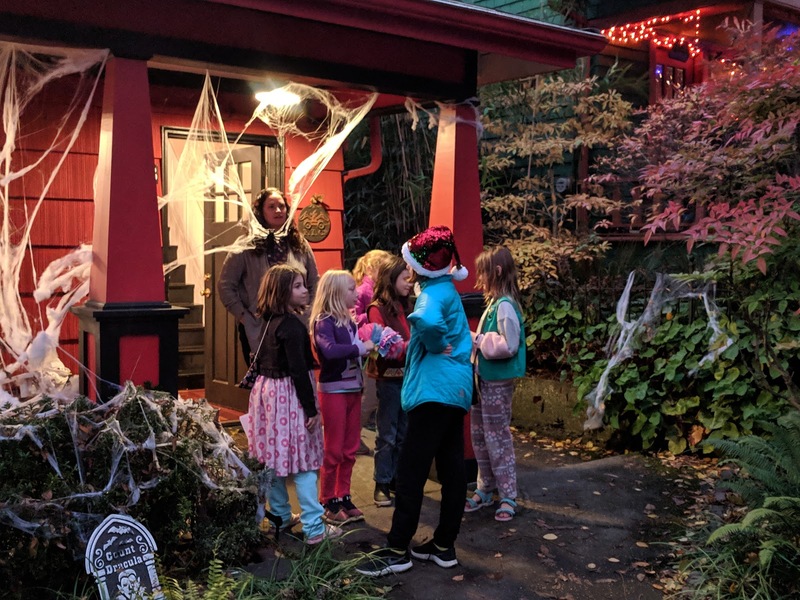 Zoey went to Girl Scouts in the evening and they studied the Day of the Dead too. She is really enjoying her Girl Scout troop this year. It's very cool to see her standing around chatting with her friends after the meeting ended, she's growing up so fast - a true celebration of life. 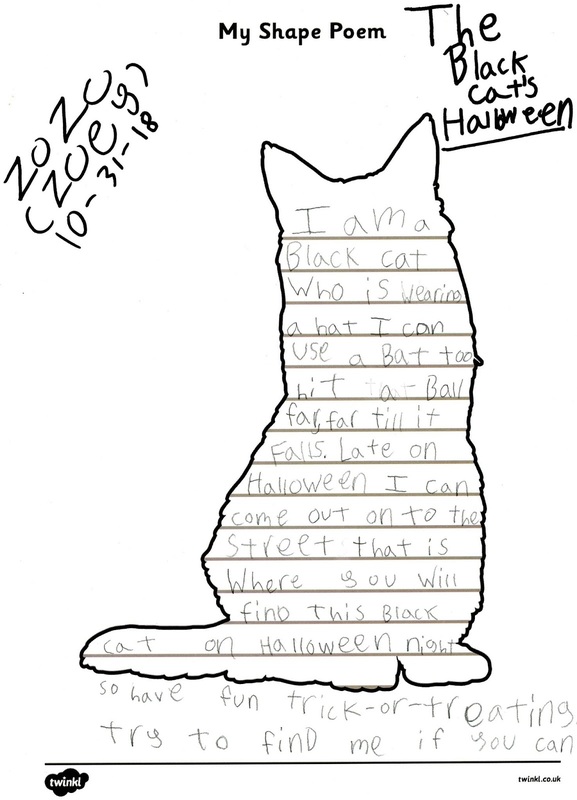 We had a lot of fun with Halloween in homeschool this year. 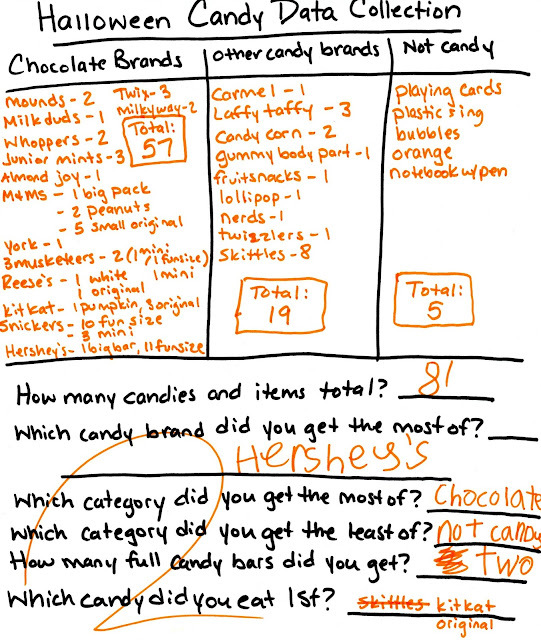 We spent the last week working on review using Halloween themed exercises. 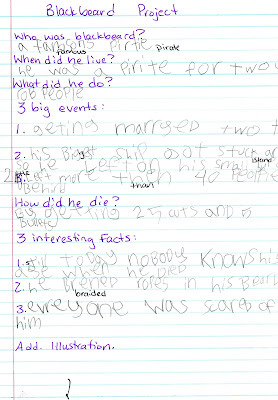 We covered parts of speech in language arts; multiplication, time, place value, comparing numbers, rounding and graphing in math; shape poetry and creative writing in writing; catapult construction and physics as well as a vampire bat study in science; Halloween history and traditions in history and social studies; and we read The Haunted Library: A Ghost in the Attic by Dori Hillstad Butler, Frankenstein by Ludworst Bemonster and Frankenstein Makes a Sandwich by Adam Rex for reading. 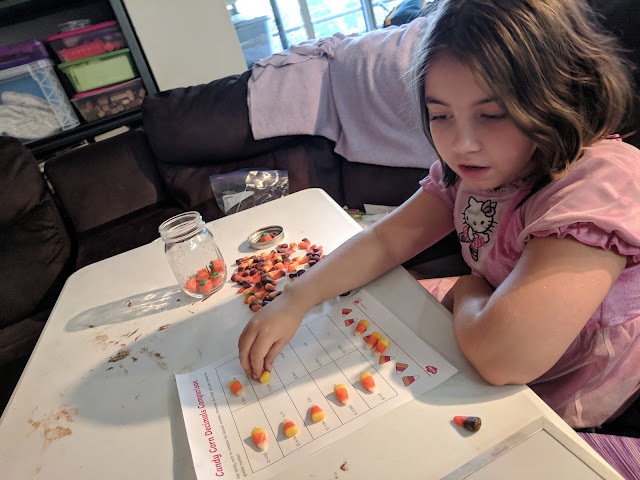 Zoey using candy corns to represent the greater than/less than signs while comparing numbers. 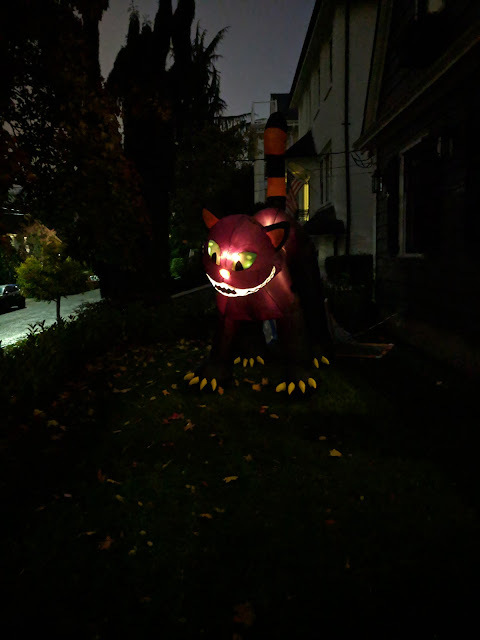 We even saw a black cat while we were out Trick-or-Treating. 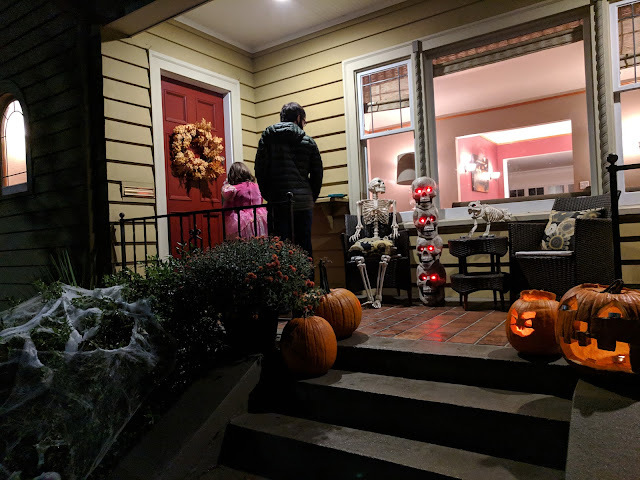 For Halloween night, we decided to go Trick-or-Treating in our neighborhood. It was a great adventure. 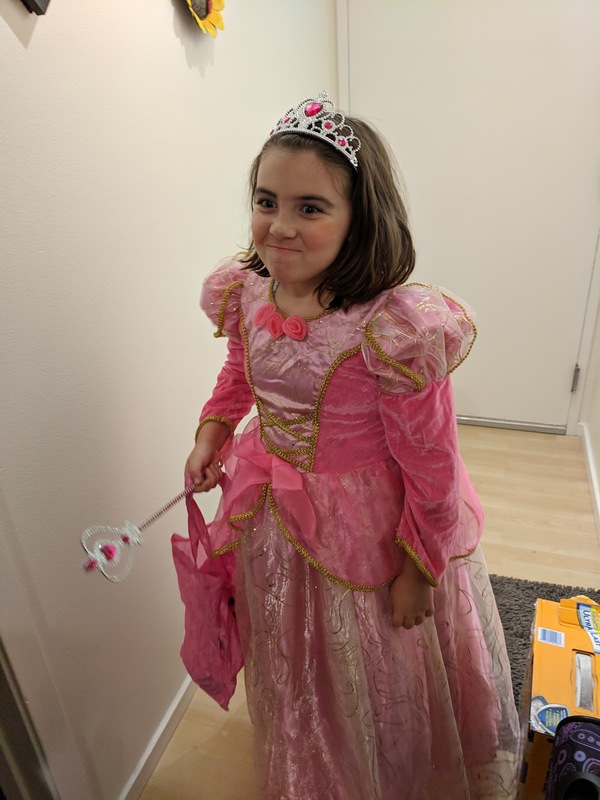 Zoey dressed up as a Pink Princess. She did her make up and everything. We went down a stretch that didn't have as many kids on it. Most of the people we visited were glad to have some one stop by. I really enjoyed our walk through the neighborhood. Everyone was really nice too. We got to check out all of the awesome decorations. 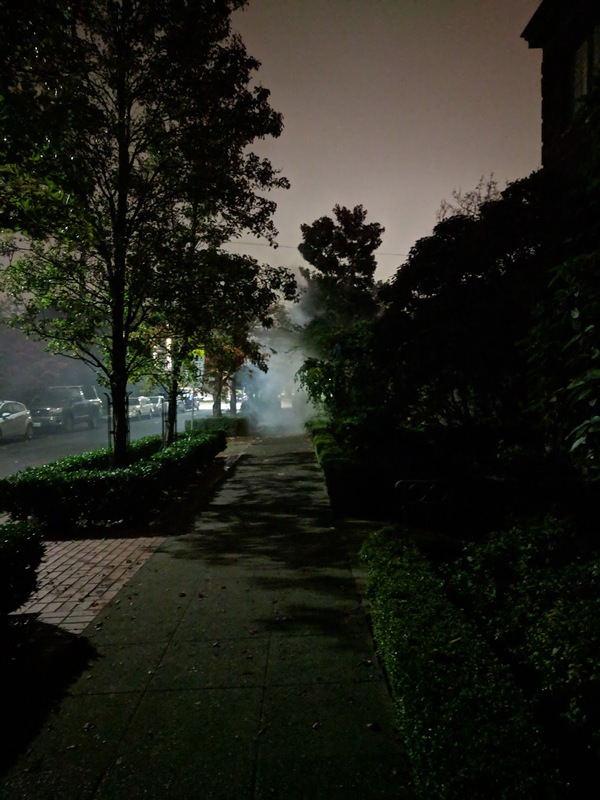 One house had a fog machine that flooded out onto the street making it even more spooky that the natural clouds were already doing. We even got invited in for a beer at one point. It was great to see everyone out and making local connections to celebrate the occasion. There were some great decorations while we were out. The next day, we collected data from our Halloween candy run. It was great to turn such a fun event into a learning opportunity. 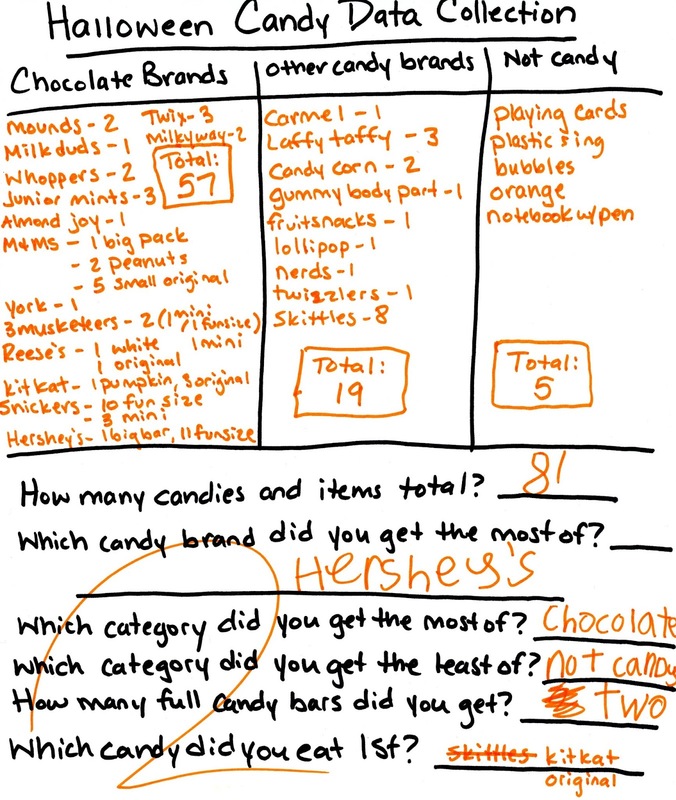 Especially when we got to taste test all the candy for science! It was a great Halloween and we covered a lot in our homeschooling lessons in the process. I hope you also had a great celebration!